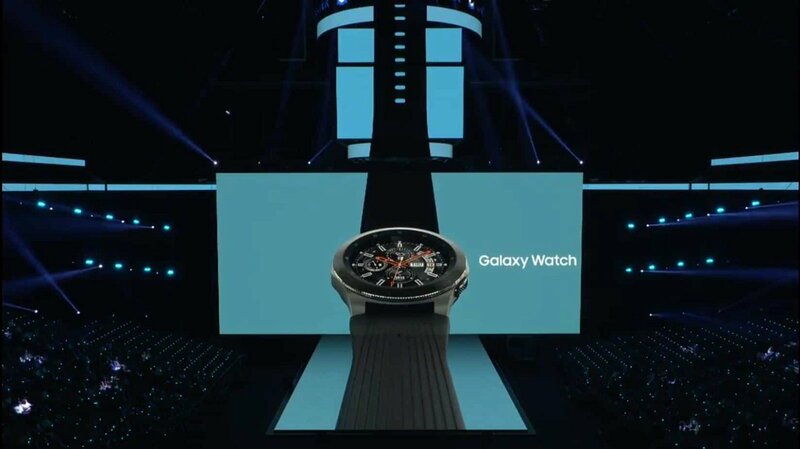 Just a few minutes ago, Samsung officially revealed the Galaxy Note 9, Galaxy Home, and their new Smartwatch. There’s a lot of juicy information regarding these devices. So, without any further ado, let’s get right into it. As you can see above, we’ve yet to see any close-up photos of Galaxy Note 9, but this will have to do for now. 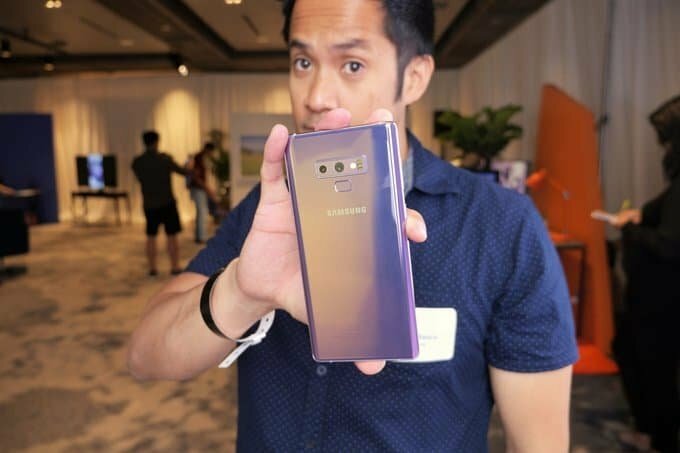 Frankly speaking, the Note 9 mostly seems like another Samsung device – meaning that it doesn’t differ too much from the rest of the Notes. By the way, good news for the notch haters out there: the Samsung Galaxy Note 9 doesn’t have one. One thing that slightly changed in the design is the fingerprint sensor location which is now under the camera. Other than that, the Note 9 is also a bit thinner compared to its predecessors. With all of that being said, let’s take a deeper look at the device. This device runs natively Android 8.1 with the Samsung Experience UI. We currently don’t know if it’ll receive Android Pie but we’ll keep you updated when we find out on our weekly firmware roundup. The Galaxy Note 9 comes with the Exynos 9810. This SoC sports an 8-core CPU with 4 cores clocked at 2.8 GHz and 4 cores clocked at 1.7 GHz. The GPU is an ARM Mali-G72 MP18. But, wait, there’s more. The US version will have slightly different specs. More specifically, instead of the Exynos 9810, the US version will have the Snapdragon 845 and the Adreno 630 as a replacement of the Mali-G72 MP18. 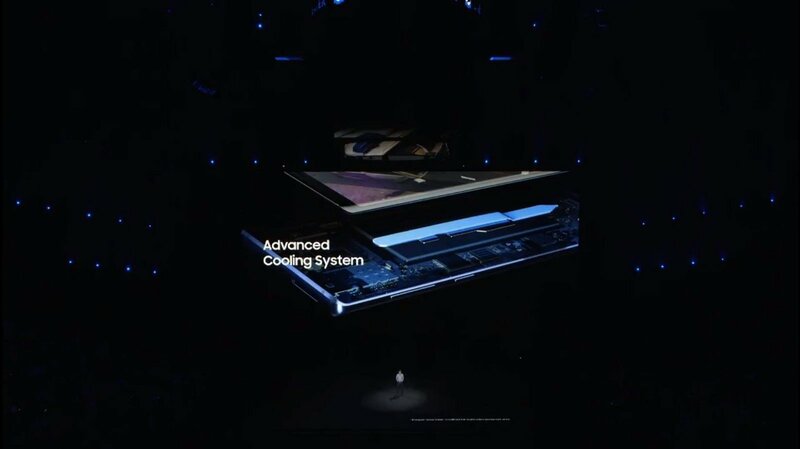 Samsung mentioned that the Note 9 will never have to thermal throttle – thanks to its advanced cooling system. To be more specific, it uses a larger heat pipe and utilizes liquid cooling for more efficient heat dissipation. When it comes to storage and RAM, you can choose between either 6 gigs of RAM and 128 gigs of storage or 8 gigs of RAM and 512 gigs of storage. The Note 9 also allows you to add up to 512 gigs of microSD card storage – which means that you can get more than a terabyte of memory with this smartphone. 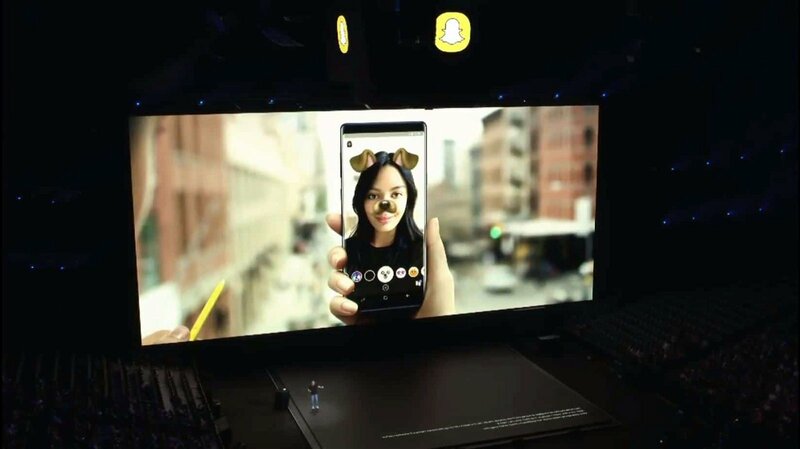 The new Samsung Galaxy Note 9 sports a 6.4-inch Super AMOLED display at a resolution of 2960 x 1440. And as you can see in the image down below, there’s no notch to be seen anywhere. The bezels are incredibly thin – almost non-existent. The lack of the notch makes this even more amazing. 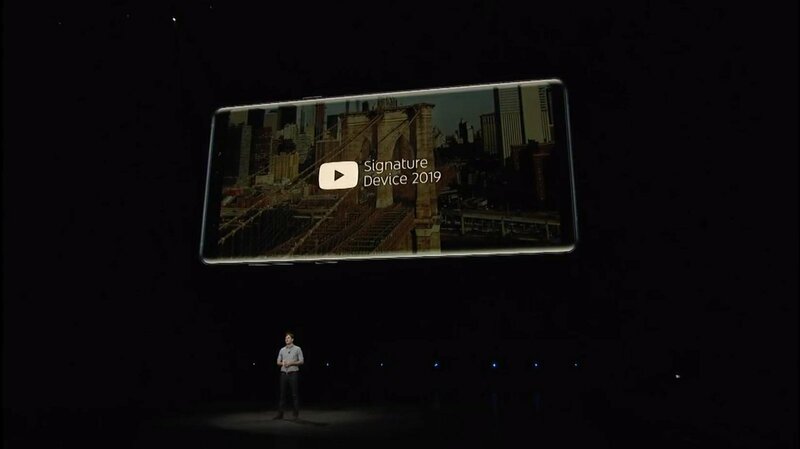 In fact, according to Samsung, Google announced the Note 9 as the YouTube signature device of 2019. Why? Because according to them, this phone just gives the best YouTube experience. On the camera aspect, we’ve got a dual 12 MP cameras in the rear and one 8MP selfie camera. If there’s one big thing that separates the camera of the Note 9 with the rest of the smartphones, then that would be its flaw detection mechanism. Basically, this feature can detect certain flaws in your pictures and notify you about them immediately. In the image above, you can see how the device notifies the user that the person in the picture may have blinked – ultimately giving the photographer another chance to take a picture. Without this, you normally won’t notice that something was wrong until you’re already back home. As you might’ve probably expected, the Galaxy Note 9 comes with a 4000 mAh battery. So, you can probably expect at least two days of usage and normal/heavy use. You can now use your S-Pen as a sort of remote controller. 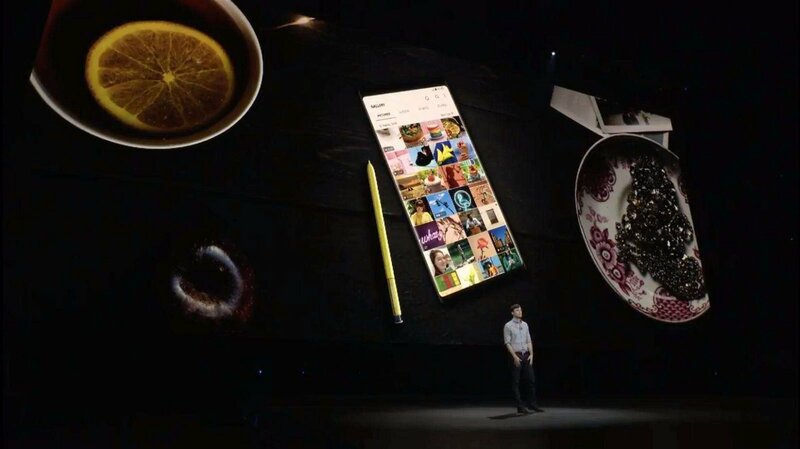 You can use it to take pictures, partially control your Note 9, take notes, make drawings, and more. 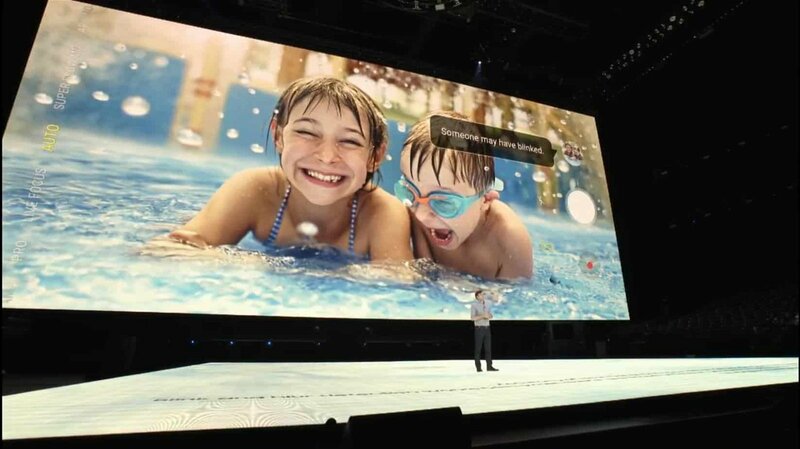 The S-Pen can be operated from as far as 10 meters. It needs about 40 seconds to charge and can last up to half an hour of usage. Bixby – Samsung’s voice assistant, now uses whatever information that it has about you do a better job on helping you out. 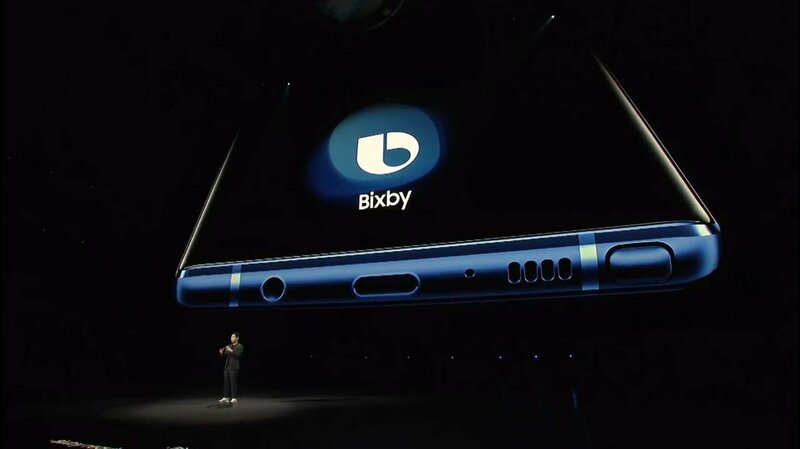 For an example, if you ask for nearby restaurants and you prefer Italian food, then Bixby will first display Italian restaurants on the search results. Still, if you prefer Google’s voice assistant, then you’ll be able to use her as well. Simply saying, “Hey Google” should do the trick. The Galaxy Note 9 can be easily connected into a monitor or TV. All you need is a USB-C to HDMI adapter. The touch-screen of your device can be used as a sort of touchpad. However, if you wish to do so, you can still use the smartphone as you normally would even while it’s still connected to a display. You can see exactly that happening in the image above. The new Galaxy Smartwatch is water resistant, has LTE support (depending on the version that you’ll get), and runs Samsung’s operating system – the Tizen OS 4.0. Other than that, it includes some features like heart rate monitoring to track your stress levels and help you to relax. Furthermore, it can also use that information for exercise monitoring. Let’s not forget to mention that sleep tracking is supported as well. Samsung mentioned that the Galaxy Smartwatch has military-grade durability which is most certainly a nice thing to have. Frankly speaking, Galaxy Home looks just like another version of Alexa – a sort of home assistant. 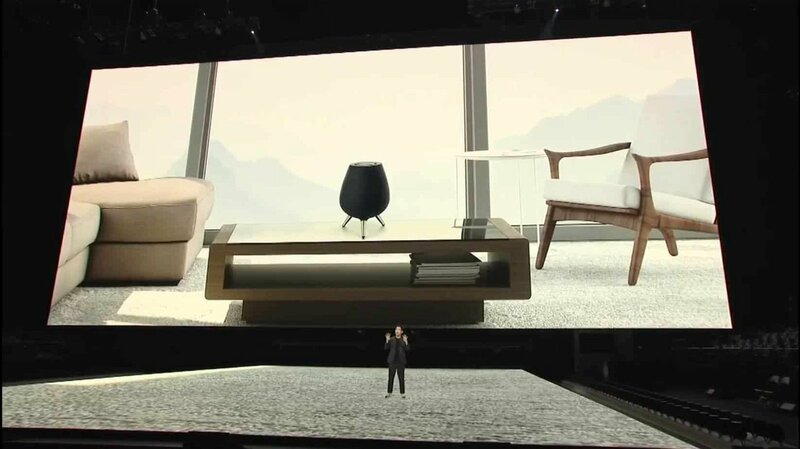 If there’s one big difference then that would be that the Galaxy Home is designed to work seamlessly with the Note 9. For an example, if you’re playing a song from Spotify on your smartphone and you wish to hear it from your Galaxy Home, then you’ll be able to do it pretty much with the press of a button. Specification wise, the Galaxy Home offers high-quality sound with ATG speakers, a strong subwoofer, it’s able to detect your location and adjust the sound accordingly, and it also has 8 microphones so that it’ll be able to hear you from afar. 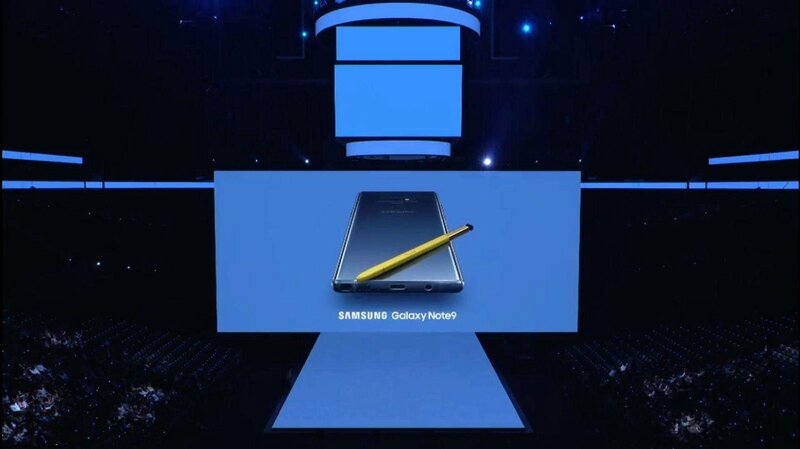 The Galaxy Note 9 is set to be released on the 24th of August. Till then, all we can do is wait.